In addition to using a variety of insurance companies to obtain the lowest possible premium for your boat insurance, we will review with you all of the available discounts and coverages. The value of boats can decrease over time and we will review with you what should be the proper limit of insurance for your boat. Covers injuries and property damage to others resulting from a covered accident if you are found to be legally liable. This includes pollution liability coverage at no additional cost. It also also includes wreckage removal at no additional cost when physical damage coverage (Comprehensive and Collision) is purchased. Comprehensive covers damage to your boat, motor, trolling motor, trailer, permanent and portable boating equipment for losses resulting from things other than collision (such as damage from fire, theft, for storms) and is subject to a deductible. 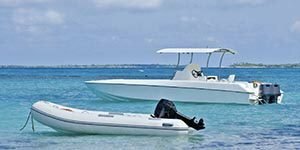 Collision covers damage to your boat, motor, trolling motor, trailer, permanent and portable boating equipment in the event of an covered accident, subject to a deductible. Covers damages due to bodily injury that you, relatives, and anyone on your covered boat have if injured in an accident with an uninsured/underinsured boater or hit-and-run boater. Covers medical bills for the treatment of injuries that are incurred by you or others while operating or occupying your boat. Covers towing expenses and other emergency services up to selected limits in the event your boat becomes disabled while on the water. Covers damage to fishing equipment, up to selected limits, while on board an insured boat, or while being carried onto, or off of, an insured boat. Pays replacement cost for physical loss or damage to your personal property, up to selected limits, while on board an insured boat, or while being carried onto, or off of, an insured boat.